For any of you who are wanting to ride again (like me!) or maybe you're wanting to switch barns or maybe you want to try riding for the first time, you may feel like finding a stable is a difficult task. I get that, I'm in the same boat. But as I find myself narrowing my options down, I've learnt a few things that I thought I'd share with you. If there's one thing I know to be true is that horse people know other horse people. I mean, you know about me and other bloggers because you share the same passion. So horse people in your area know about the stables around you and what they are like. Talking to them is the best place to start your search. Maybe they'll be able to recommend a stable that would be the best for you or they'll tell you to stay away from another. If they ride, ask them which stable they go to and how they like it there. If you're not sure where to find horse people, a tack shop or feed store is the perfect place to find them. Ask the employees and look at their bulletin board ads. Usually, the employees are just as passionate about riding as you are and are happy to help you out. If they aren't much help (like the situation that I went through today), don't get discouraged. Visit another store and continue to do your research. The internet makes things so much easier to find new places. Try typing in different keywords into search engines and see what you come up with. Google Maps is also a great option when finding a stable because then you'll be able to know just how far away it is from where you live. The only real problem with search engines is that some stables rely on word of mouth alone and may not have a website. So when you may not know anyone who rides or they don't recommend you places to visit, you may never know they exist. There is a way around this though. If they are a recognised stable, they will have a membership with an equestrian association. These associations will usually have a stable directory that you can use to find other stables. Visiting local horse shows is also a great way to discover stables. You'll also be able to see how they do in comparison to other barns and you'll be able to listen to the instructors coaching their students before they enter the ring. If you're interested in a few of the stables while at the show, it's the perfect opportunity to talk to them. Because they are in a high stress environment, you'll be able to see how they handle stressful situations and if they are proud of their company. Do they take the time to talk to you or do they just hand you a card and go about their tasks? Are they excited to talk about their barn? Obviously, don't try to talk to them as they are running from one area to another. At every horse show, there will be a break period where riders and staff can eat and just breathe for a bit. Wait for that moment before you approach them with your questions. I hope some of these tips were helpful for you if you are looking for a stable. I'll link another post here where I talked about different things to look for when choosing a barn. If you can think of any other ways to find a new stable, please leave them in the comments section below. Since last week's post was a little on the sad side, I decided to write something a little bit more fun this week. We all love our horses and we love a beautiful stable. Some of us, have the finances to build a stable that is so majestic that it takes your breath away. This week's blog post will be showcasing some of these beautiful barns. The first stable is located in Hawaii on more than 53 acres of land. This property had been for sale at $12,895,000. To learn more about the details of the property and to see more pictures, you can click here or you can click on the link below the picture. The next stable is located in Nottinghamshire and was built by Monarch Equestrian for the Irish show jumper Billy Twomey. You can learn more about Monarch Equestrian by clicking here. Another stable is located in Santa Rosa, CA on 11 acres of land. You can read the property's details by clicking here. 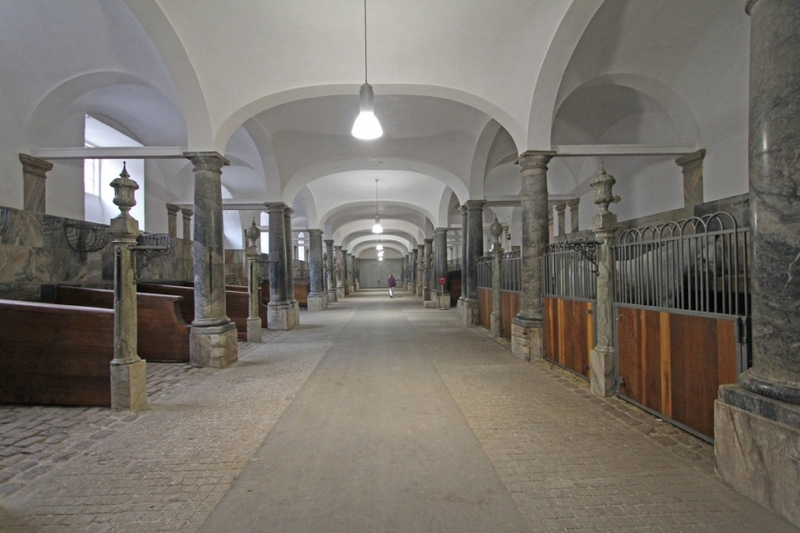 Here is a Royal stable in Christanborg, Copenhagen. You can click here to see some more unusual stables this website has posted. Finally, the last stable I will be sharing with you today, designed by GH2 Gralla Equine Architects, is in Warsaw, North Carolina. 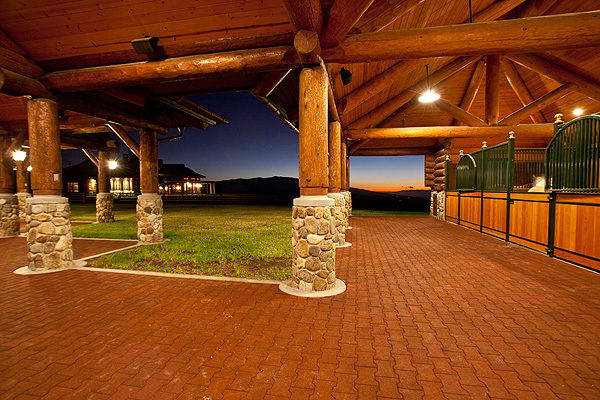 You can click here to see all of GH2 Gralla Equine Architects projects. I hope you are all having a wonderful day and thank you for reading my blog. Until next week, happy riding! A blog should be clean. As riders, we should all be responsible for cleaning up after ourselves and our horses.